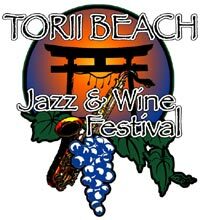 Sunshine and a soft breeze, wine and the mellow sounds of jazz offer the makings for a fun-filled Saturday at Torii Beach. Tickets are on sale now at Torii MWR facilities for the wine tasting and hors d’oeuvres session that is part of the festival. Participants must be 20 years of age or older to purchase tickets, and for admission to the wine tasting. Advance tickets are $15, while at-the-door tickets will be $19. Nine jazz groups and orchestras, including the III Marine Corps Expeditionary Band, will entertain from 3 p.m. ~ 11 p.m. Visitors are encouraged to bring blankets, chairs and friends to the concert. No pets are allowed. No personal alcoholic beverages are permitted onto Torii Beach. Food, beer and wine will be available for purchase during the jazz festival. Team Skyline opens the afternoon at 2 p.m., followed by the Swing Herd Orchestra from 3 ~ 3:45 p.m. The III MEF Band entertains from 4 ~ 4:45 p.m, followed by Jam at 5 p.m. Tim Watson performs from 6 ~ 7:45 p.m., followed by the Yara Group from 8 ~ 9:45 p.m. Big Whoops Jazz Orchestra is on stage beginning at 10 p.m. Yemaya may also perform, while Ace will handle the master of ceremonies chores.